Below you fill find all funeral homes and cemeteries in or near Hanford. 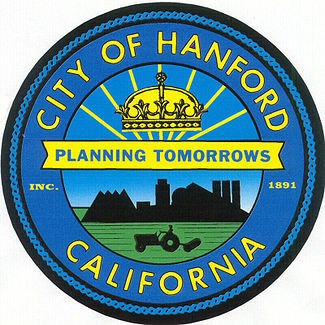 Hanford is also known as: Kings County / Hanford city. Their current mayor is Mayor David Ayers. Zip codes in the city: 93230, 93232. Kings County funeral flowers can be purchased from one of the local funeral shops we partner with. Some of the notable people born here have been: Lorenzo Neal (american football player), Tyson Chandler (basketball player and athlete), Shawntinice Polk (basketball player), Sean Parnell (politician and lawyer), Scott Parker (ice hockey player), Ken Caminiti (baseball player), and Charlie Jones (american football player). Hanford is an important commercial and cultural center in the south central San Joaquin Valley and is the county seat of Kings County, California. 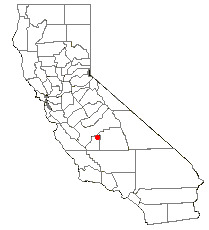 It is the principal city of the Hanford-Corcoran metropolitan area (MSA Code 25260), which encompasses all of Kings County, including the cities of Hanford and Corcoran. The ZIP Code is 93230 (93232 for post office boxes). The city of Hanford is surrounded by communities that do not fall within the city limits but use the same zip code. These communities include Grangeville, Hardwick and Home Garden.The population was 53,967 at the 2010 census. The California Department of Finance estimated that the city's population was 55,283 as of January 1, 2014. It was reported by Oregonian on November 2nd, 2018 that Dennis Robert Jaeger passed on in Portland, Oregon. Jaeger was 79 years old and was born in Hanford, CA. Send flowers to share your condolences and honor Dennis Robert's life. It was disclosed on October 29th, 2018 that Linda A Dutcher passed on in Richland, Washington. Dutcher was 75 years old and was born in Hanford, CA. Send flowers to express your sorrow and honor Linda A's life. It was written by Klamath Falls Herald and News on October 9th, 2018 that Janell R Barber (Hughes) passed on in Chiloquin, Oregon. Ms. Barber was 56 years old and was born in Hanford, CA. Send flowers to express your sorrow and honor Janell R's life. It was revealed by South West Times Record on April 4th, 2018 that Larry Ray Parker passed away in Ft Smith, Arkansas. Parker was 68 years old and was born in Hanford, CA. Send flowers to share your condolences and honor Larry Ray's life. It was reported on January 27th, 2018 that Ronnie Campbell perished in Gore, Oklahoma. Campbell was 59 years old and was born in Hanford, CA. Send flowers to share your condolences and honor Ronnie's life. It was written by Skagit Valley Herald on January 26th, 2018 that Wilma Louise "Happy Wanderer" Murdock (Johnston) perished in Washington. Ms. Murdock was 85 years old and was born in Hanford, CA. Send flowers to share your condolences and honor Wilma Louise "Happy Wanderer"'s life. It was revealed by The Herald on November 30th, 2017 that Charles E Cawvey died in Mount Vernon, Washington. Cawvey was 78 years old and was born in Hanford, CA. Send flowers to express your sympathy and honor Charles E's life. It was reported by Register Guard on June 21st, 2017 that Melvin "Mel" Major died in Springfield, Oregon. Major was 64 years old and was born in Hanford, CA. Send flowers to express your sympathy and honor Melvin "Mel"'s life. It was written on June 8th, 2017 that Josephine Arroyo perished in Prosser, Washington. Arroyo was 44 years old and was born in Hanford, CA. Send flowers to share your condolences and honor Josephine's life. It was written by Tri-City Herald on June 7th, 2017 that Josephine Arroyo passed away in Richland, Washington. Arroyo was 44 years old and was born in Hanford, CA. Send flowers to express your sympathy and honor Josephine's life. Hanford is an important commercial and cultural center in the south central San Joaquin Valley and is the county seat of Kings County, California. Surrounding areas were used for hunting and seed, acorn, and grass gathering. The Star Restaurant was still doing business at the same location in 2009. Hanford is named for James Madison Hanford, a railroad executive, after the Southern Pacific Railroad tracks were laid through a sheep camp in the year 1877. . Listing all funeral homes in Hanford, California so you can easily send flowers to any location (same day delivery) or find any funeral service. Here is a list of Hanford funerals and memorials providers. We work with local florists and flower shops to offer same day delivery. You will find budget sympathy flowers in Hanford here. Our funeral flowers are cheap in price but not in value.